Live Well Wherever You Go...The SkyGuide Executive Privilege Club supports the lifestyle of busy executives and offers practical solutions for a better experience while traveling. The SkyGuide Executive Privilege Club works with an amazing cross-section of partners to make your life on the road easier. As a member you get access to 24-hour help with the SkyGuide Executive Privilege Club Concierge, complimentary access to airport lounges and gyms, downloadable global flight schedules through eSkyGuide, great products and services and exclusive discounted rates. Which luxurious airplane amenity is a must for you? Enjoy special savings on car rentals with Hertz when you use your SkyGuide Executive Privilege Club discount codes. Enjoy one free day, $15 off on weekends, and up to 20% off! Save $25 when you make a $75 purchase at eBags! 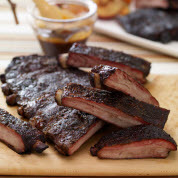 Get high-quality meats from Lobel's of New York delivered right to your door. Receive 5% off plus free shipping for their entire purchase.